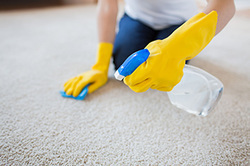 Carpet Cleaning Lancaster, PA is a task that can take time and effort. Our dedicated team of cleaners have honed their skills to a T, and know exactly what it takes to make a room look beautiful again. Feel free to ask us about using 'green cleaning products' if you so choose. We can clean all the carpets in your house, or simply focus on specific rooms. Either way, we stand behind our work, and if you are not completely satisfied, we'll clean them again. We will continue cleaning until you're 100% pleased with the way your carpets look. Carpet Cleaning Lancaster PA is your first and best choice for carpet cleaning.